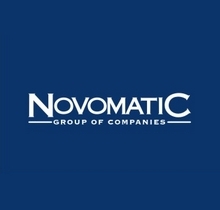 Novomatic has come a long way since producing slot machines in Austria. While the casino and games developer has signed up Austrian racing legend, Niki Lauda, recently, their scope is well beyond Austria. Novomatic boasts a huge slots share across UK and European casinos and also the US, including some of the most popular titles like Lady's Lucky Charm and Book of Ra. But the Austrian superpower isn't all about addictive slots titles. Slots from Novomatic tend to be on the simple side, but when you've sewn up the land-based market, they're never going to be full-on 3D immersive efforts. The best part about Novomatic's portfolio, however, is that the titles migrate easily from offline to online and mobile. Every big developer has an Egyptian-themed slot, and Novomatic is no different. Book of Ra is a mainstay of land-based casinos and online Novomatic-powered ones alike. All the recognisable Egypt symbols are present and correct (ankhs, scarab beetles, amulets, etc) while the very retriggerable free spins round can be a money-spinner. Like some other Novomatic slot machines (see Lady's Lucky Charm) Book of Ra can be volatile, hence its appeal to casino-goers everywhere. Part of the Novoline range, Dolphin's Pearl Deluxe has made the seamless transition from land-based casino button-bashing territory to online, and now mobile. Like some other popular Novomatic casino titles there are only 10 paylines but a free spins bonus can award 15 spins with a nice 3x multiplier attached. Sizzling Hot Deluxe - now a solid mobile title as well as offline and online - features classic fruit machine-style icons as you try to earn a top whack worth 200x your total bet. In appearance and gameplay it's virtually the same as the impressive mobile slot, Plenty on Twenty, but it can dish out some impressive wins - particularly when played at land-based casinos. Lady's Lucky Charm Deluxe props up many a Gaminator cabinet across UK casino chains. Its no-nonsense gameplay (9 paylines across five reels and a Celtic theme) is popular with slots players everywhere, as is the pretty lucrative free spins bonus round that triggers when hitting three or more Scattered crystal balls anywhere. In land-based versions of these progressive Novomatic games, a modest progressive jackpot runs on the slot, and the betting limits are generally a lot higher than you'll find on the online cousins. The firm also operates electronic gaming terminals in Europe (NOVOSTAR) and a range of casinos across Europe including the Spielbank Berlin which plays host to WSOPE. In addition, the firm operates 205 sportsbetting outlets through its subsidiary, ADMIRAL Sportwetten GmbH in Austria. As well as impressive touch-screen electronic roulette terminals in European casinos, Novomatic has developed machines which allow casino players to play popular slots and games via configured tablets hooked up to WLAN anywhere away from the gaming area.